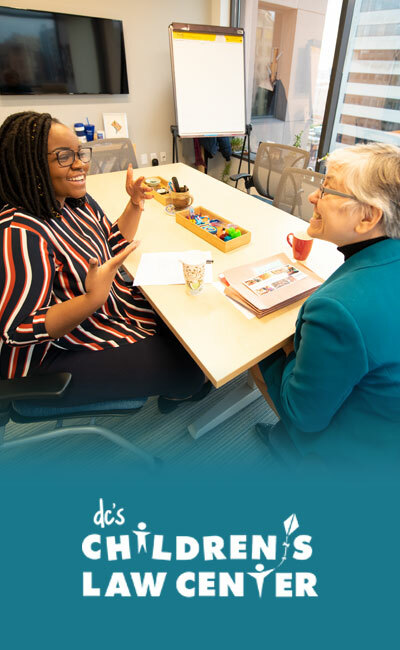 While our grantmaking has spanned three areas – foundation openness, feedback research, and feedback practice – we are currently accepting applications only for Listen4Good, our national initiative implementing high-quality feedback loops at customer-facing nonprofits. We invite interested organizations to read more about how to participate in L4G either through this year’s co-funded grant round or L4G Online Beta, a project to test a new interactive website. View a searchable list below of all our grantees, or read a feedback story that illustrates the power of listening and feedback. 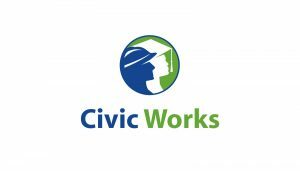 CEO provides employment reentry services to people returning from prison in 11 sites across New York, California, Oklahoma, and Pennsylvania. 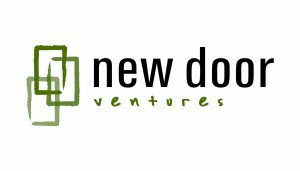 CEO’s model is based on a highly structured program of life-skill education, short-term paid transitional employment, full-time job placement and post-placement services. 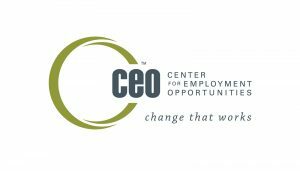 CEO is committed to serving the most at-risk populations and places an emphasis on providing services to young adults ages 18-25 – a population who frequently has limited work experience and faces particularly strong barriers to entering the workforce. 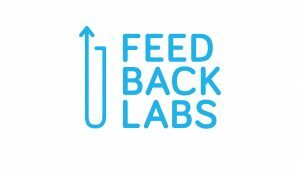 Feedback Labs is a convener, connector and hub of knowledge, tools, and resources to accelerate the culture of listening and co-creation between funders, practitioners and the people they seek to help. It currently has fifteen members, including practitioners, funding platforms, technology providers, policy makers, and direct service organizations. 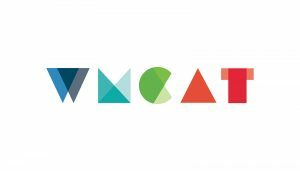 With this grant, Feedback Labs will build its capacity to convene people, catalyze collaboration, disseminate findings/good practices; and increase Feedback Lab’s focus on the US domestic philanthropic sector. GlobalGiving is an online fundraising community that gives social entrepreneurs and nonprofits around the world the opportunity to access money, information, and ideas they need to improve their communities. This grant is to help GlobalGiving establish a new norm in the social sector in which organizations systematically listen to those they seek to help and meaningfully incorporate those voices into their work, beginning with the more than 2,500 nonprofits in the GlobalGiving network. In more than 220 communities across the United States, Habitat for Humanity works in partnership with low-income families and coalition partners to revitalize neighborhoods. 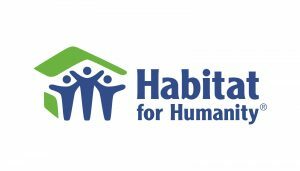 With this grant, Habitat’s Neighborhood Revitalization team will evaluate current feedback mechanisms, then design and launch a systematized approach to ensure that residents drive community transformation. 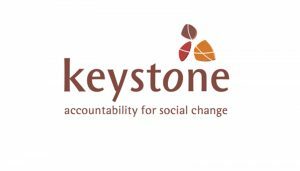 Keystone Accountability is a consulting firm to NGOs that specializes in setting up Constituent Voice™ feedback loops and is developing an online Feedback Commons where organizations can access curated questions/tools/resources and contribute to generating comparative data sets. With this grant, Feedback Commons will continue to build out the prototype, add more users and learn what is more/less effective in feedback collection. LIFT is a national nonprofit dedicated to helping families break the cycle of poverty. By fostering relationships between low-income parents (members) and dedicated volunteers (advocates), we help families build the strong personal, social and financial foundations to secure immediate, critical needs and to achieve long-term goals and aspirations. 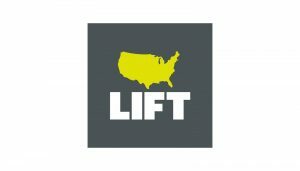 With this grant, LIFT will strengthen the member feedback system implemented in the Chicago, Los Angeles, New York and Washington, DC offices. LIFT’s member feedback focus is two-fold: (1) on generating insights and opportunities to better serve their members and (2) investigating if perceptual data from members (on relationship quality or social/personal foundations) correlates with concrete steps towards members’ goals and ultimately achieving those goals. This grant will fund a fellowship through NCCI to the Office of Science and Technology (OSTP) to implement feedback loops within the federal agency. 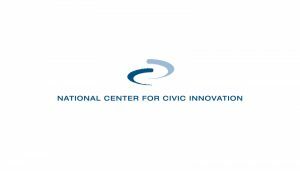 The National Center for Civic Innovation is an independent, nonpartisan, nonprofit organization created by the Board of Directors of the Fund for the City of New York (FCNY) in 2002. Its purpose is to facilitate the ability of other cities and communities throughout the United States to adapt FCNY’s approach, applications and expertise in improving quality of life and the performance of government and nonprofit organizations. 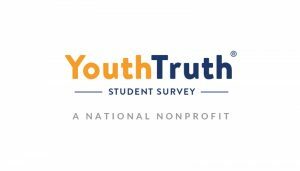 YouthTruth is a national survey project run by the Center for Effective Philanthropy which focuses on gathering feedback from students nationwide in grades 3 through 12 for use by school leaders and education funders to make better decisions to lead to better outcomes for students. 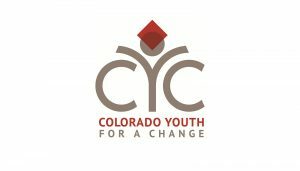 With this grant, YouthTruth will continue to serve more school districts and build toward a sustainable economic model. 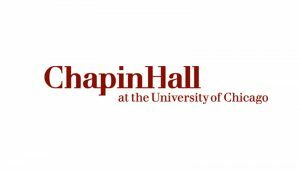 Chapin Hall is an independent policy research center that builds knowledge to improve policies and programs for children and youth, families, and their communities. Chapin Hall is currently undertaking CalYOUTH to evaluate the impact of the California Fostering Connections to Success Act on outcomes for foster youth during the transition to adulthood. With this grant, the study team will bring the findings from the longitudinal study back to the foster youth and gain their feedback on the data and policies being made on their behalf. For research to evaluate relationships between perceptual feedback and outcomes from the people we seek to help. 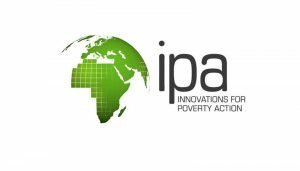 Innovations for Poverty Action (IPA) is a research and policy non-profit that discovers and promotes effective solutions to global poverty problems. IPA is undertaking research to examine whether feedback data can predict which type of beneficiary receives the biggest impact from a program and which does not. To embed and integrate a perceptual feedback study into REDF’s Social Innovation Fund (SIF) evaluation with the aim of answering the following questions: Are participants’ perceptions about the effectiveness of social enterprise programs predictive of subsequent job placement and retention or other secondary outcomes? 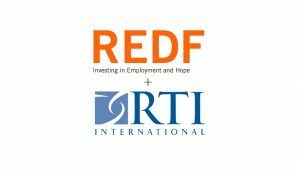 REDF is an intermediary that provides grants and technical assistance to employment social enterprises – businesses with a double-bottom line that hire and provide training to people facing barriers to employment. 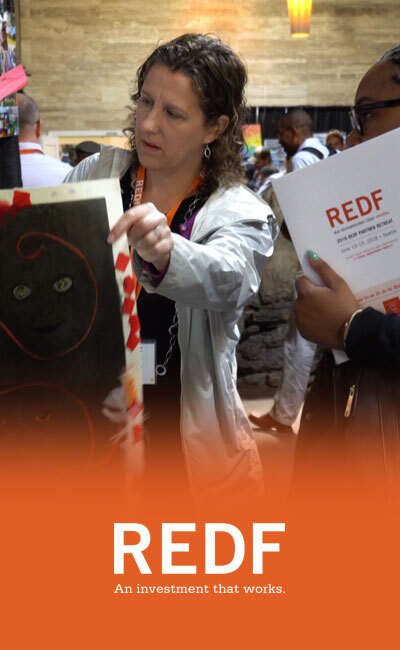 REDF has a focus on those who have faced homelessness, incarceration, mental health illness, or “opportunity youth.” In 2015, REDF was awarded a federal Social Innovation Fund (SIF) grant for the period 2016 – 2020 to fund a national portfolio of 22 employment social enterprises and evaluate the effectiveness of the program model. RTI International, a nonprofit research institute, will be serving as the external evaluator for the SIF evaluation including the perceptual feedback research. The Urban Institute conducts research and offers evidence-based solutions to pressing social and economic problems. Feeding America is a nationwide network of 200 food banks that provides food to more than 46 million people annually. Together these partners will rigorously test methods for gathering client feedback, using the data to improve services, and communicating to clients how their input made a difference. 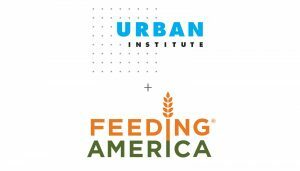 The most effective methods will then be rolled out across the Feeding America network. 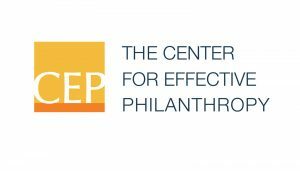 CEP provides data and insight so philanthropic funders can better define, assess, and improve their effectiveness and, as a result, their intended impact. With this research project, CEP plans to build on its previous work on foundation transparency by investigating how foundations are assessing what’s working and what isn’t (both in their programmatic areas and in their internal operations), how they use that information, and how they decide what to be open about. 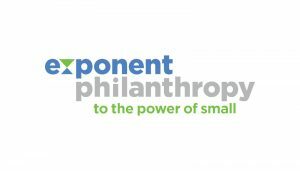 Exponent Philanthropy is the country’s largest association of funders—nearly 2,200 members strong—and the only one dedicated to serving foundations with few or no staff, philanthropic families, and individual donors. For a research initiative to understand perceptions of Indians within the philanthropic community and instigate a productive dialogue on philanthropic investment in Native communities. 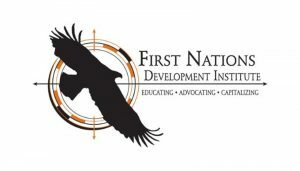 First Nations Development Institute is a premier national, Native American-led nonprofit organization with a mission to strengthen American Indian economies to support healthy Native communities. First Nations invests in and creates innovative institutions and models that strengthen asset control and support economic development for American Indian people and their communities. 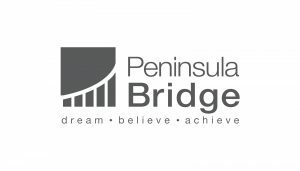 To improve foundation openness through regional initiatives and nationwide learning. 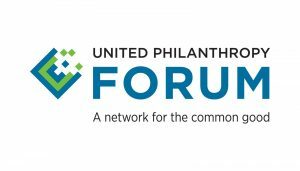 United Philanthropy Forum is a national network that facilitates effective philanthropy to strengthen communities and improve lives throughout the United States. With deep regional roots and a broad nationwide reach, the Forum Network represents more than 5,500 participating organizations, the largest network serving and advancing philanthropy in America. 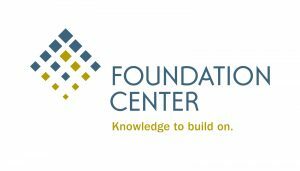 Foundation Center is a primary provider of knowledge services for the social sector. Collectively, its Glasspockets, GrantCraft, and IssueLab services offer resources and data to improve practice and to encourage the open sharing of lessons learned. With a new searchable section of IssueLab’s website dedicated to collecting and sharing evaluations as the project’s home base, Glasspockets and GrantCraft will offer related thought leadership through various forms including a guide, blog series, case studies, and dedicated sections of the respective websites. 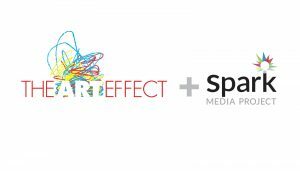 The grant will leverage past technology and audience growth efforts by also supporting a communications campaign elevating and amplifying this work. To work with a subset of funders involved with the Collective Impact Forum as a “learning lab” for improving foundation openness and disseminate those learnings. 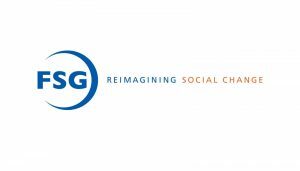 FSG is a mission-driven consulting firm for leaders in search of large-scale, lasting social change. Through a combination of customized services, powerful ideas, and learning communities like the Collective Impact Forum, FSG helps foundations, businesses, nonprofits, and governments around the world accelerate progress. The Collective Impact Forum is a field-building initiative of FSG and the Aspen Institute Forum for Community Solutions. 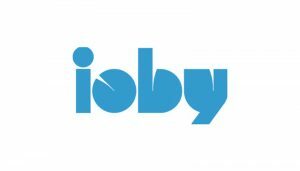 To experiment with two approaches to address grantee inclusion/foundation openness: 1) the Change Incubator, and 2) public workshops. GEO is a diverse community of more than 550 grantmakers working to reshape the way philanthropy operates. 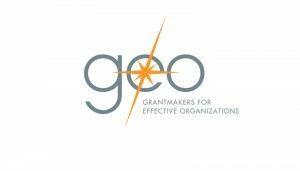 Understanding that grantmakers are successful only to the extent that their grantees achieve meaningful results, GEO promotes strategies and practices that contribute to grantee success. To prototype a mechanism for sharing beneficiary feedback between funders and nonprofits. To influence 500 family foundations on how to be more open and transparent in order to improve their grantmaking effectiveness through targeted communications, conference sessions and meetings, webinars, and a Transparency Assessment and Planning (TAP) Tool. 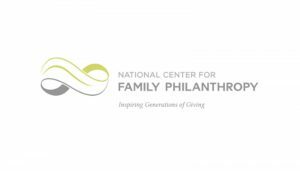 The National Center for Family Philanthropy (NCFP) is the only national nonprofit dedicated exclusively to families who give and those who work with them. NCFP provides resources, expertise and support families need to transform their values into effective giving that makes a lasting impact on the communities they serve. To conduct a holistic analysis of the openness, accountability, and transparency practices of 90 women’s foundations and share the learnings across the network and with the greater philanthropic community. 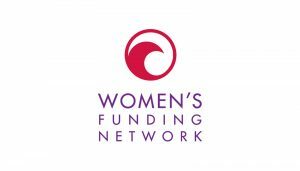 With close to 100 women’s foundations and gender equity funders engaged, Women’s Funding Network is the largest philanthropic network in the world devoted to women and girls, investing over $400 million annually to advance gender equity. Creative Commons offers a set of free, flexible, easy-to-use copyright licenses that allows authors to share their creative works on more open terms, explicitly permitting others to freely distribute, use and build upon that work. 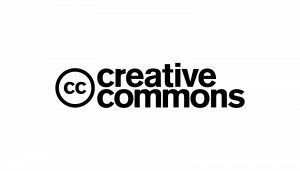 With this grant, Creative Commons will create resources and tools to help foundations adopt open licensing policies so that more of the materials produced by grantees with grant funds can be openly shared. 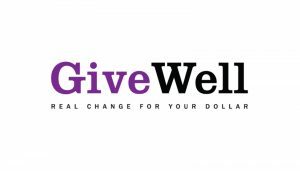 GiveWell provides rigorous analysis of nonprofit performance summarized in “top charity” recommendations on their website that influenced $17 million in giving by individual donors and foundations in 2013. The Open Philanthropy Project is a new initiative by GiveWell and the Good Ventures foundation that seeks to promote effective giving and open sharing by funders about their decisions, processes, lessons learned and failures. 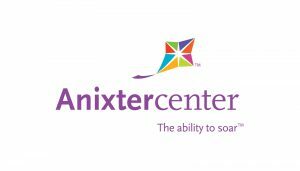 The Anixter Center provides an array of services and supports to people with developmental disabilities and related challenges so they can live, learn, work and play in the community. 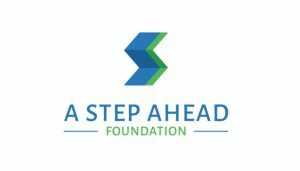 A Step Ahead aims to provide access to long acting, reversible contraception (“LARC”) to women in Shelby County, TN. They focus on LARCs because they are the most effective methods of birth control though only 7.2% of women in the US currently use them. 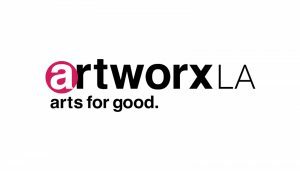 ArtworxLA seeks to combat the high school drop-out crisis with a long-term, sequential arts program that inspires youth in alternative high schools to stay in school, evolve as unique individuals and flourish as creative adults. 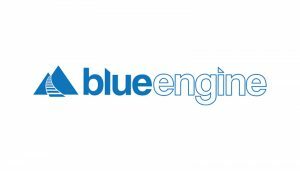 Blue Engine seeks to increase college-readiness among students most at-risk of never attaining postsecondary degrees by working closely with district high schools to test innovative uses of human capital and reimagine what classrooms should look like. 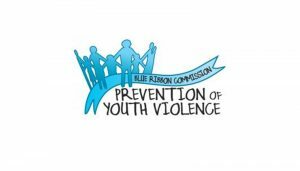 The Blue Ribbon Commission was created by a commission that included the Mayor, DA, superintendent of schools and others in response to rising crime rates in the area. 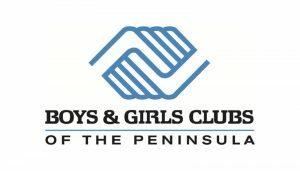 BGCP aims to provide low-income youth in their local community (East Palo Alto and Eastern Menlo Park, in Silicon Valley) with the opportunities they need to graduate from high school ready to succeed in college and/or career. 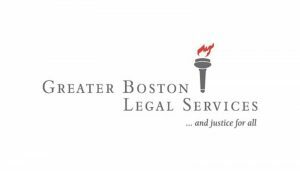 GBLS represents low-income individuals and families in Boston and 31 additional cities and towns in the Greater Boston area, assisting individual clients to secure some of the most basic necessities of life as well as addressing systemic problems that adversely impact their lives. 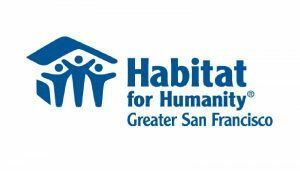 HHGSF aims to provide Bay Area families with a springboard to secure a stable future through affordable home ownership, financial literacy and neighborhood revitalization. 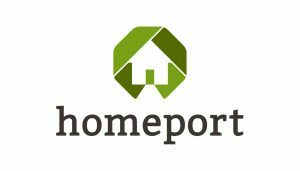 Homeport aims to create healthy, stable homes for low-income residents of Central Ohio through the provision of high quality, affordable rental homes. NHS aims to create opportunities for people to live in affordable homes, improve their lives and strengthen their neighborhoods. New Door prepares disconnected youth ages 16-24 in San Francisco for success in work and life through paid jobs, intensive case management, skill-building workshops and education support. 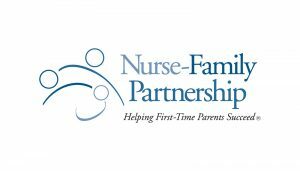 NFP is an evidence-based community health program that serves low-income women pregnant with their first child. 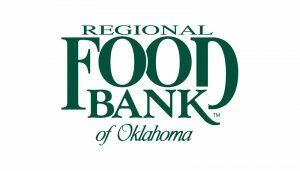 The Food Bank seeks to operate programs that meet a substantial increase in the demand for food, a decrease in corporate donations, and an increased understanding of our country’s diet-related public health crisis. 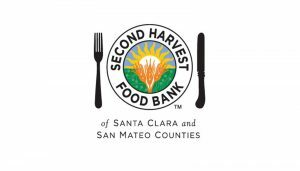 Second Harvest is a primary source of food for individuals in the Silicon Valley region with limited incomes and few resources to access healthy food. They serve over 240,000 people every month and distribute over 1,000,000 pounds of food each week. 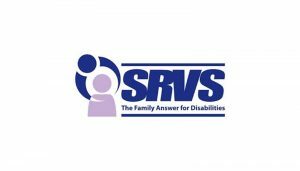 SRVS seeks to enhance the lives of individuals with intellectual and developmental disabilities and believes that all people, regardless of ability, have the right to live, work and play in their own communities as fully integrated members of society. 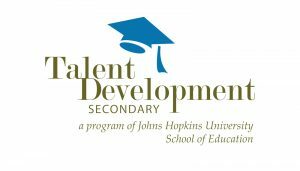 TDS is a curriculum development program based out of the School of Education at Johns Hopkins University. TDS aims to build capacity in the highest need schools that contribute the largest number of students to our nation’s dropout crisis. 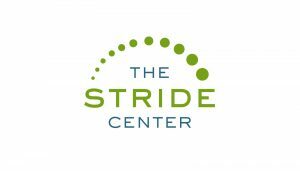 Based in Hartford, CT, The Village is regional multi-service mental health organization. 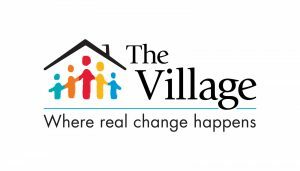 Founded over 200 years ago, the Village provides services to over 8,000 people annually including behavioral health, early childhood and youth development and family support services. 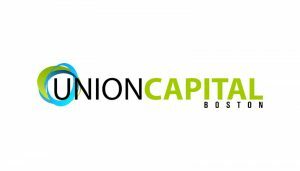 UCB connects low-income community members in Boston with resources and organizations by marrying traditional community organizing with modern technology. 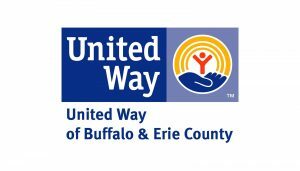 Among its many roles in the community, this United Way focuses on improving community conditions in education, financial stability and health and wellness. 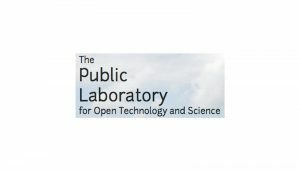 Public Lab is a community and non-profit developing and applying open-source tools to address environmental issues that affect people. 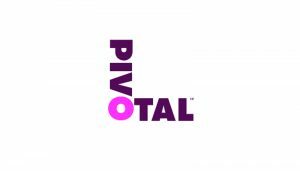 Pivotal is a social enterprise helping youth gain the skills, habits and work experience to fulfill their potential. 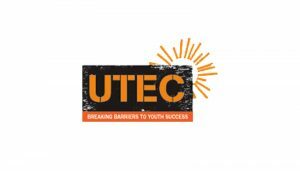 UTEC ignites and nurtures the ambition of Lowell’s most disconnected young people to trade violence and poverty for social and economic success. 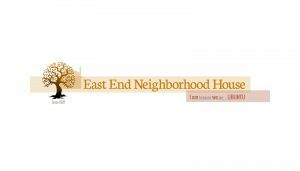 East End Neighborhood House in Cleveland, Ohio compassionately provides culturally-competent integrated social services, leadership development and healthy activities that nurture our community’s individuals and families—children through seniors—to become self-sufficient and ultimately thrive. 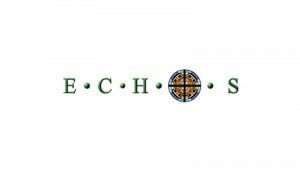 ECHOS improves the quality of life of the most vulnerable and at-risk individuals in our community by eliminating the disparities in access to healthcare, education and job training. Promoting the mental health and wellbeing of individuals and families through counseling, education, and prevention. 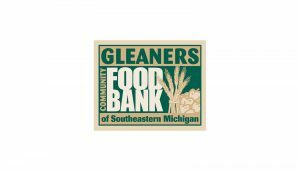 Feeding hungry people and nourishing our communities, Gleaners collects 34.5 million pounds of food a year and distributes 79,000 meals each day. 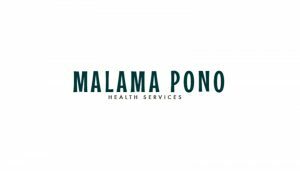 Malama Pono provides individualized compassionate health care services and education to meet the evolving needs of those on Kauai. 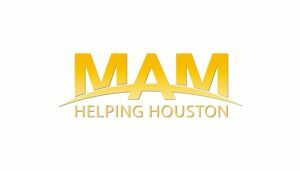 MAM assures that families have the means to meet their basic needs. 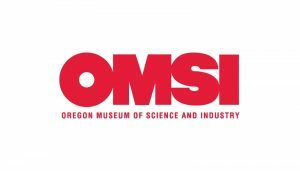 OMSI inspires curiosity through engaging science learning experiences, fosters experimentation and the exchange of ideas, and stimulates informed action. 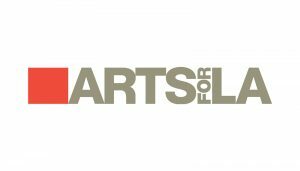 Arts for LA is a voice for the arts in Greater Los Angeles that informs, engages, and mobilizes individuals and organizations to advocate for access to the arts across all communities; arts education for every student; robust investment in the arts; and inclusion of diverse and underrepresented voices. 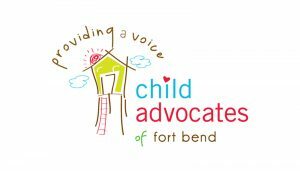 Child Advocates of Fort Bend provides a voice, heals the hurt, and breaks the cycle of abuse for children in Fort Bend County Texas. 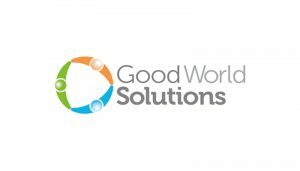 Good World Solutions is a social enterprise that uses technology to improve workers’ lives. In Our Backyards mobilizes neighbors who have good ideas to become powerful citizen leaders who plan, fund and make positive change in their own neighborhoods. 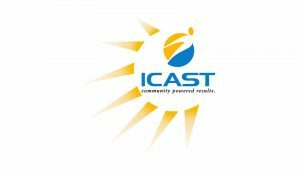 ICAST (TM) develops and implements market-based solutions for issues that plague underserved communities. 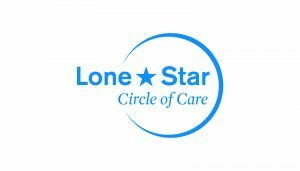 Lone Star Circle of Care Federally Qualified Health Center that provides comprehensive primary care and integrated behavioral health services, regardless of ability to pay, for residents of Central Texas. 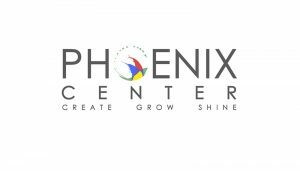 The Phoenix Center is committed to meeting the need for high-quality, affordable mental health care for children and families in need. 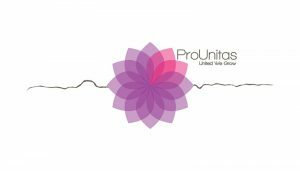 ProUnitas seeks to facilitate the effective entry, coordination and implementation of Houston’s existing educational, health and social services for underserved communities. 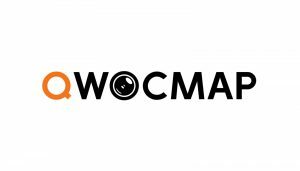 Queer Women of Color Media Arts Project promotes the creation, exhibition and distribution of new films/videos that address the vital social justice issues that concern queer women of color and our communities, authentically reflect our life stories, and build community through art and activism. 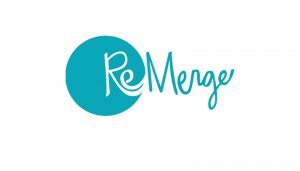 ReMerge is a comprehensive female diversion program designed to transform pregnant women and mothers facing incarceration into productive citizens. 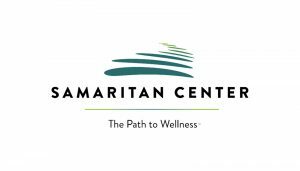 Samaritan Center works to improve the mental, physical, and spiritual health of children and families in Central Texas. 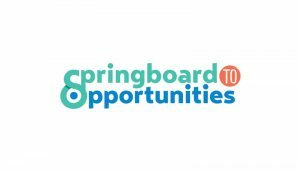 Springboard To Opportunities connects families living in affordable housing with resources and programs that help them advance themselves in school, work and life. 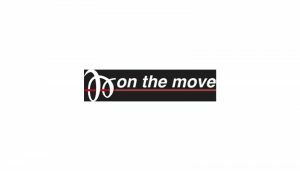 On The Move develops and sustains young leaders by building exceptional programs that challenge inequities in their communities. Genesys Works of the Bay Area enables economically-disadvantaged high school students to enter and thrive in the economic mainstream by providing them the knowledge and work experience required to succeed as professionals. 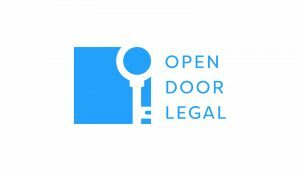 Open Door Legal is working to create the country’s first system of universal access to legal representation and prove that when everyone has access to the law, poverty can be dramatically reduced. 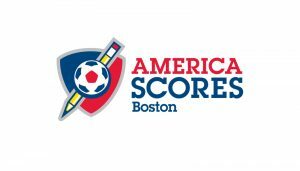 Boston Scores provides at-risk youth with team-based education programs that foster their health & wellbeing, academic achievement, and civic engagement. 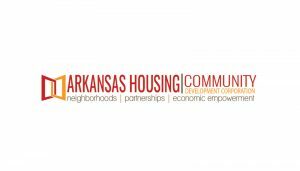 Arkansas Community and Economic Development and CDC is dedicated to creating affordable Community and Economic Development opportunities, fostering economic self-sufficiency, promoting training and education, and enhancing access to supportive services for low-income residents of North Little Rock, specifically residents of the North Little Rock Community and Economic Development Authority. 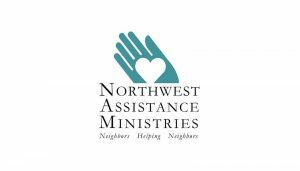 Northwest Assistance Ministries is a non-profit, community-based social service agency that strives to meet basic human needs through Neighbors Helping Neighbors. 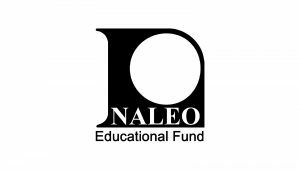 NALEO Educational Fund is the leading non-partisan, non-profit national organization that facilitates full Latino participation in the American political process, from citizenship to public service. 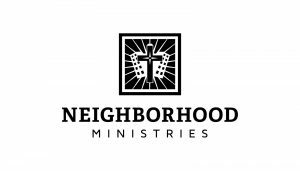 Neighborhood Ministries breaks the cycle of poverty in impoverished, inner-city Phoenix by holistically loving, serving, and bringing life-transforming hope and power to families in the community. 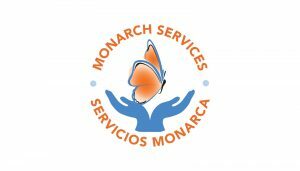 Monarch Services offers comprehensive intervention services to survivors of intimate partner and sexual violence and prevention services to community members with a focus on youth and farmworkers. 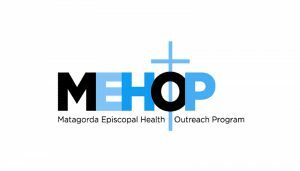 Matagorda Episcopal Health Outreach Program is a Federally Qualified Health Center in Bay City, Texas providing healthcare services to the community of Matagorda County and surrounding areas. 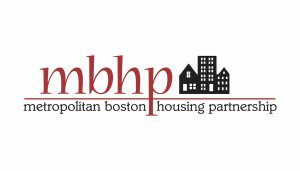 Metropolitan Boston Housing Partnership ensures that the region’s low- and moderate-income individuals and families have choice and mobility in finding and retaining decent affordable housing. The Art Effect is a multi-arts educational center that works with students of all ages to change lives through the arts. 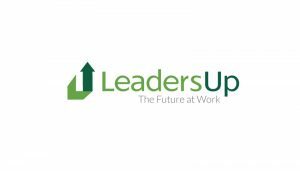 LeadersUp is a talent development intermediary focused on ending the youth unemployment and opportunity divide by meeting business hiring needs with a pipeline of ready-to-work young adults. 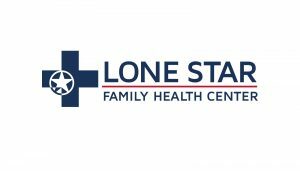 Lone Star Family Health Center is a full service state-of-the-art family health services provider operating facilities in Conroe, Spring, and Willis, Texas. 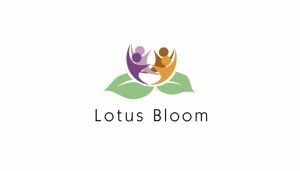 Lotus Bloom (LB) is a multicultural, community led organization that empowers underserved families with young children in the Oakland community. 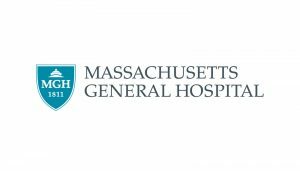 The First 1,000 Days Program of Massachusetts General brings together community health center leadership, staff and patients to identify opportunities for systems-level improvements to address the needs of the child, the mother and the family. 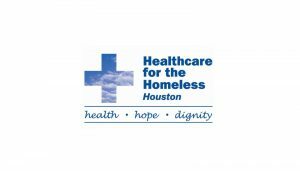 Healthcare for the Homeless – Houston promotes health, hope and dignity for Houston’s homeless through accessible and comprehensive care. 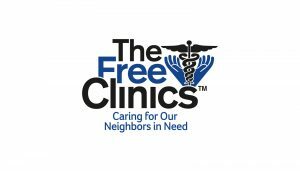 The Free Clinics enhances the healthcare system in Henderson County & neighboring communities in North Carolina to ensure the accessibility of quality healthcare for uninsured, low-income clients. 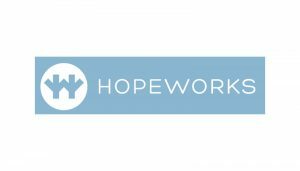 HopeWorks provides hope and transformation through education, spiritual development and a respect for work. 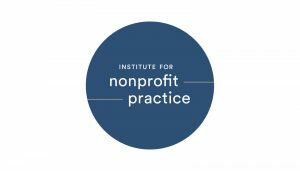 Institute for Nonprofit Practice works to elevate the nonprofit sector and make it exponentially more effective, connected, and diverse by educating the current and next generation of leaders. 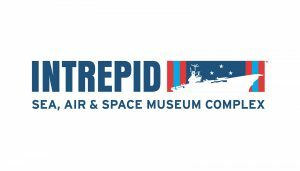 Intrepid Sea, Air & Space Museum promotes awareness and understanding of history, science and service through its collections, exhibitions and programming, in order to honor our heroes, educate the public and inspire our youth. 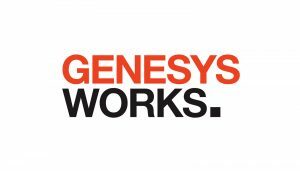 Genesys Works — Twin Cities seeks to transform the lives of disadvantaged high school students through skills training, meaningful internships, and impactful relationships. 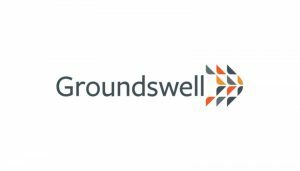 Groundswell serves communities in Washington D.C. and Baltimore by organizing local community solar projects that can power our communities with 100% clean, solar power while allowing us to share power with our neighbors. 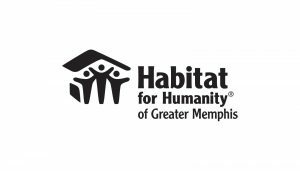 Memphis Habitat partners with people in our community to help them build or improve places they can call home through new home construction and affordable mortgages; critical home repair and rehabilitation work; and aging in place home modifications for seniors. 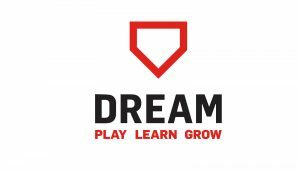 DREAM’s mission is to provide inner-city youth with opportunities to Play, Learn and Grow. They use the power of teams to coach, teach and inspire youth to recognize their potential and realize their dreams. 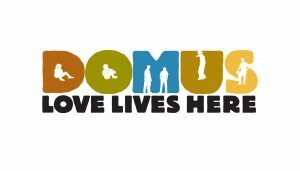 Domus is a human services nonprofit that serves some of the most struggling youth in Stamford and New Haven, CT through their educational, community, and residential programs. 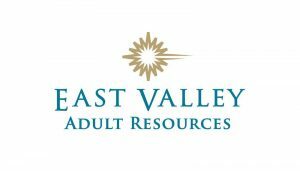 East Valley Adult Resources provides a full continuum of programs and services aimed at independence with dignity as older adults and families navigate the sometimes challenging journey of aging. 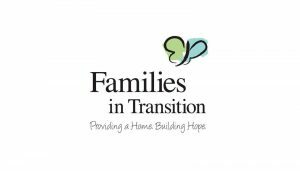 Families in Transition provides safe, affordable housing and social services to individuals and families who are homeless or at risk of becoming homeless, enabling them to gain self-sufficiency and respect. 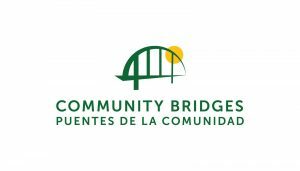 Community Bridges is one of Santa Cruz County’s largest human services nonprofits serving children, families and seniors. 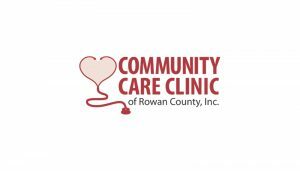 Community Care Clinic of Rowan County provides primary medical and dental care as well as prescription medications to qualified under served and uninsured adults in Rowan County, North Carolina. 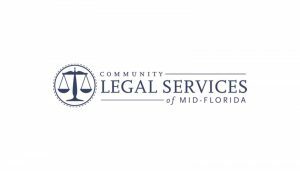 Community Legal Services of Mid-Florida is a nonprofit law firm striving to remove barriers to justice by empowering vulnerable communities through legal advocacy. 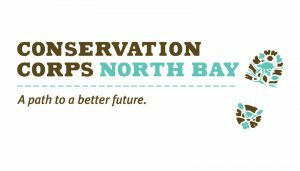 Conservation Corps North Bay, Inc. offers job training, high school education, and vocational certifications for young adults, preparing young people from all corners of the North Bay to become strong environmental leaders, develop an ethic of service and create strong, sustainable communities. 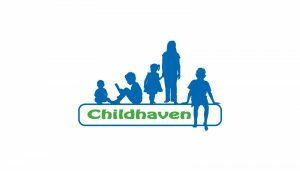 Childhaven serves abused, neglected, abandoned, and traumatized children and their families through a variety of services. 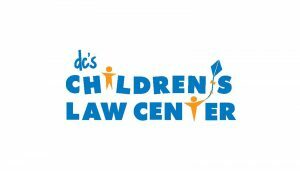 Children’s Law Center fights so every child in DC can grow up with a loving family, good health and a quality education. Colorado Youth for a Change reengages Colorado students that are either at risk for not completing high school, or who have dropped out of school completely, by providing case management to build positive relationships, reducing barriers to educational success and coordinating academic support services, so that students will reengage with their education and earn their high school diploma or GED, thereby ultimately contributing to solving the dropout crisis in Colorado. 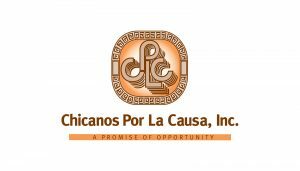 Chicanos Por La Causa is an all-encompassing organization for the underserved that includes a comprehensive range of bilingual and bi-cultural services in Economic Development, Education, Health & Human Services, and Housing. 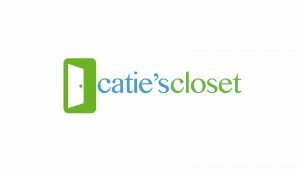 Catie’s Closet provides clothing and toiletries to children living in poverty right within their school. 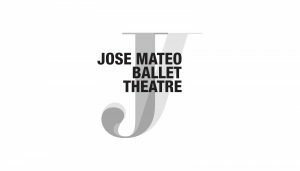 José Mateo Ballet Theatre works to make ballet accessible to everyone through innovative programming, artistic excellence, and extensive community outreach. 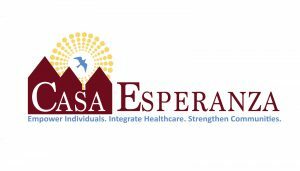 Casa Esperanza empowers individuals and families to recover from addiction, trauma, mental illness and other chronic medical conditions; overcome homelessness; and achieve health and wellness through comprehensive, integrated care. 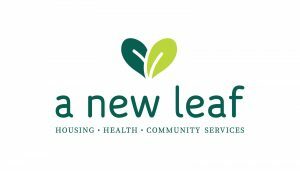 A New Leaf provides a broad range of support services to individuals and families on their journey to independence. 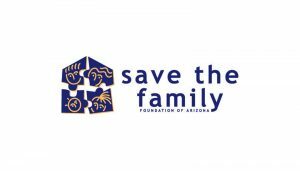 Save the Family Foundation of Arizona offers a variety of programs designed to empower families to conquer homelessness and achieve life-long independence. 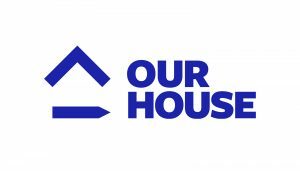 Our House offers children and families experiencing homelessness the tools, support, and education they need to thrive. 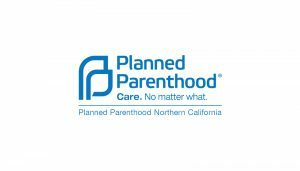 Planned Parenthood Northern California champions healthy communities and increases access to quality health care, information, and reproductive freedom by providing medical services, education, and advocacy. 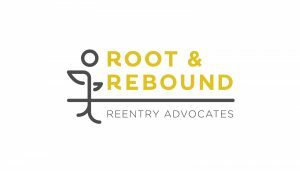 Root & Rebound increases access to justice and opportunity for people in reentry from prison and jail, and educates and empowers those who support them, fundamentally advancing and strengthening the reentry infrastructure across the state of California. 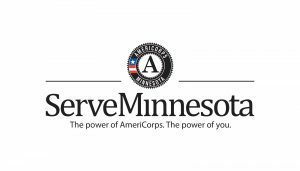 ServeMinnesota works with AmeriCorps members and community partners to meet critical needs throughout Minnesota with specific focus on solving tough problems in educational achievement, economic opportunity, and environmental protection. 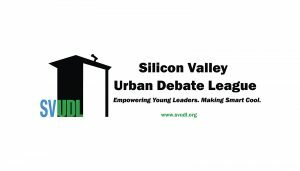 Silicon Valley Urban Debate League helps low-income youth tap the power of their voices to compete, excel, and change the world. 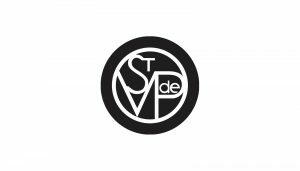 The Society of St. Vincent de Paul strives to feed, clothe, house, and heal homeless and working poor individuals and families in central and northern Arizona. 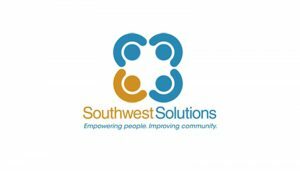 Southwest Solutions builds a strong and healthy community while changing and saving lives. 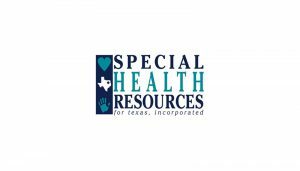 Special Health Resources for Texas is a federally qualified health center serving 23 counties in northeast Texas and working to expand access to affordable and comprehensive health care services to the underserved of our region. 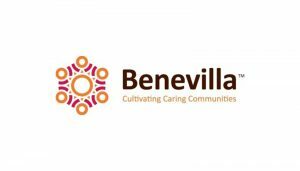 Benevilla provides extensive support services for older adults, adults with disabilities, children, and the families who care for them. 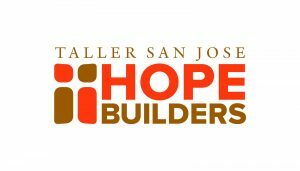 Hope Builders provides Orange County’s most disadvantaged youth the life skills and job training needed to achieve enduring personal and professional success. 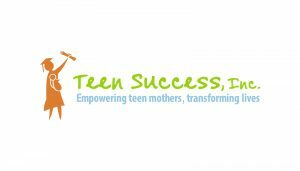 Teen Success helps underserved teen mothers and their children become educated, self-sufficient, valued members of society. 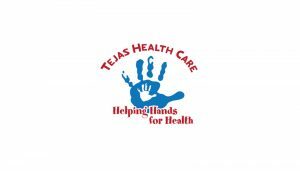 Tejas Health Care, a Federally Qualified Health Center, provides quality, affordable, compassionate and accessible primary medical, dental and behavioral health care to the Fayette County area of Texas. 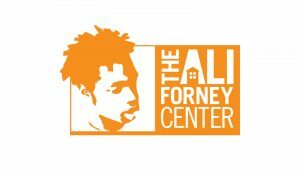 The Ali Forney Center protects LGBTQ youths from the harms of homelessness and empowers them with the tools needed to live independently. 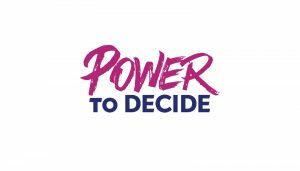 Power to Decide improves the lives and future prospects of children and families and, in particular, helps ensure that children are born into stable, two-parent families who are committed to and ready for the demanding task of raising the next generation. 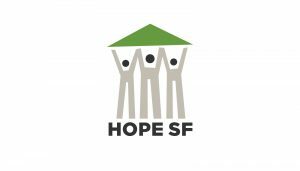 HOPE SF is a public-private partnership and collective impact initiative aimed at disrupting inter-generational poverty, reducing social isolation, and creating vibrant mixed-income communities without mass displacement. 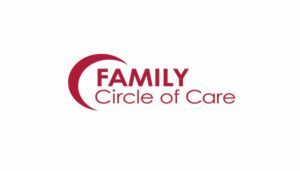 Tyler FAMILY Circle of Care, a Federally Qualified Health Center, provides access to compassionate care for families. 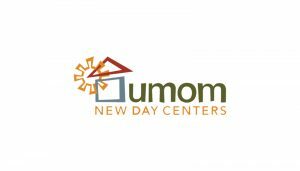 UMOM New Day Center works to prevent and end homelessness with innovative strategies and housing solutions that meet the unique needs of each family and individual. 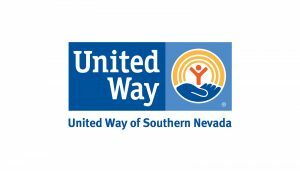 United Way of Southern Nevada unites the community to improve people’s lives. 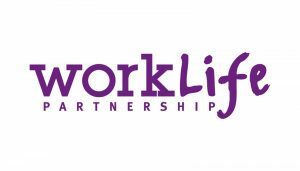 WorkLife Partnership is a successful social enterprise dedicated to building sustainable communities and thriving workplaces by promoting employer investments in low-income workers. 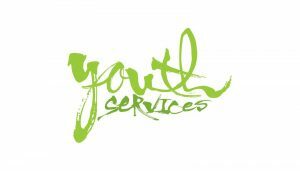 Youth Services of Tulsa works to value and accept all youth, supporting and challenging them to embrace their potential. 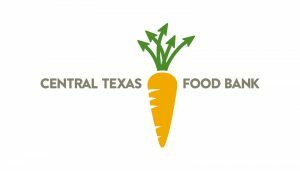 Central Texas Food Bank works with food donors across the country, financial supporters and volunteers to fill unmet needs in Central Texas. Alameda Point Collaborative is a supportive housing community that uses all its resources to help families and individuals break the cycle of homelessness and poverty. AACI’s mission is to improve the health, mental health, and well-being of individuals, families, and the Asian community by providing an array of high-quality health and human services; sharing expertise about the Asian community’s needs and best service delivery practices; and providing Asian leadership in advocating on key health and human services issues. Catholic Charities of the Diocese of Santa Rosa cares for the most vulnerable no matter their beliefs and cultures, transforming lives and communities through dignity, hope, and love. Community Action Partnership of Sonoma County partners with the community to empower low-income families through community engagement, health and wellness, education, and financial stability strategies. 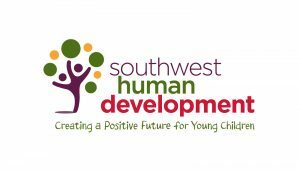 East Bay Agency for Children improves the well-being of children, youth, and families by reducing the impact of trauma and social inequities. 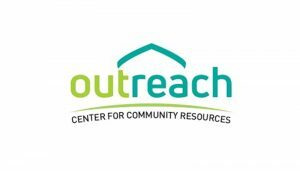 With respect for the individual and the highest professional standards, Outreach – Center for Community Resources provides a variety of programs that promote family stability and economic self-sufficiency. 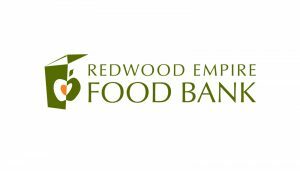 The Food Bank for Monterey County is the largest provider of emergency supplemental food in Monterey County, CA, leading community efforts in the awareness and elimination of hunger. Students Rising Above invests in low-income, first generation college students who have demonstrated a deep commitment to education and strength of character, while overcoming tremendous odds of poverty, homelessness, and neglect. The Fresno Area Hispanic Foundation promotes education and self-sufficiency through economic development that strengthens the community. Heart of Los Angeles provides underserved youth with exceptional programs in academics, arts, and athletics within a nurturing environment, empowering them to develop their potential, pursue their education, and strengthen their communities. HOPE initiates and provides innovative safety-net programs to the vulnerable and marginalized in the state of Hawai’i. 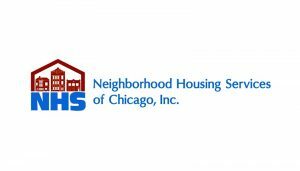 IHS creates and offers tailored housing solutions for those in crisis, and nurtures homeless people toward greater self-direction and responsibility. 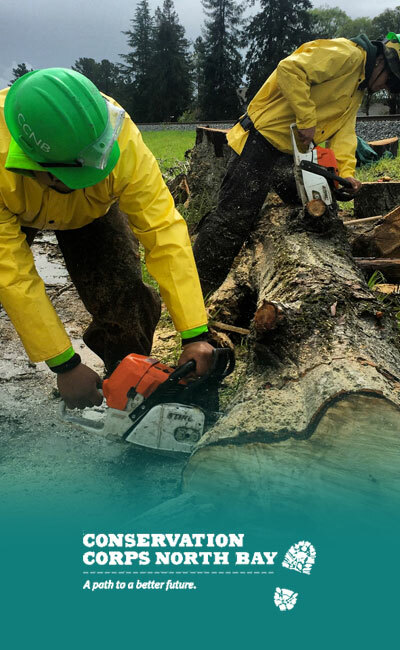 JVS transforms lives by helping people build in-demand skills and find good jobs. JIFF provides youth from the juvenile justice system with the skills, support, and direction necessary to break the destructive cycle of criminal behavior. La Clinica improves the quality of life of the diverse communities it serves by providing culturally appropriate, high-quality, and accessible health care for all. Law Foundation of Silicon Valley works to acheive social justice in Silicon Valley and beyond through vigorous legal advocacy. Monument Crisis Center offers nutritious food, quality resources, and referrals to low-income individuals and families in order to help them become stable and secure in the community. Natividad Medical Foundation brings people together to strengthen Natividad Medical Center, transforming health care into solutions that heal people, unite a community, and stand as models for the nation. Palomar, Oklahoma City’s Family Justice Center, is a collaborative model serving victims of domestic violence, sexual assault, human trafficking, stalking, bullying, and elder abuse. Operation Exodus aims to launch New York City’s Latino youth to college and lives of excellence by loving and challenging them through educational opportunities and transformational relationships. 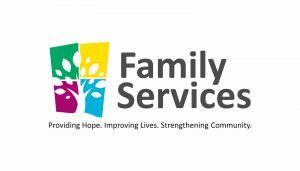 Peninsula Family Service strengthens the community by providing children, families, and older adults the support and tools to realize their full potential and lead healthy, stable lives. Publicolor is a long-term youth development program that engages high-risk students in their education throughout the year with a continuum of design-based programs that mentor them for success in college, career, and life. Sacred Heart Community Service is dedicated to bringing the community together to address poverty in Silicon Valley. SAVE’s mission is to strengthen every individual and family served with the knowledge and support needed to break the cycle of domestic violence and build healthier lives. 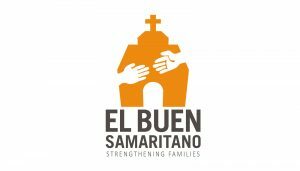 Samaritan House provides essential safety-net services for low-income children and families living in San Mateo County who struggle to meet basic human needs, such as access to food, clothing, shelter, and health care. San Diego Workforce Partnership funds job-training programs that empower job seekers to meet the current and future workforce needs of employers in San Diego County. 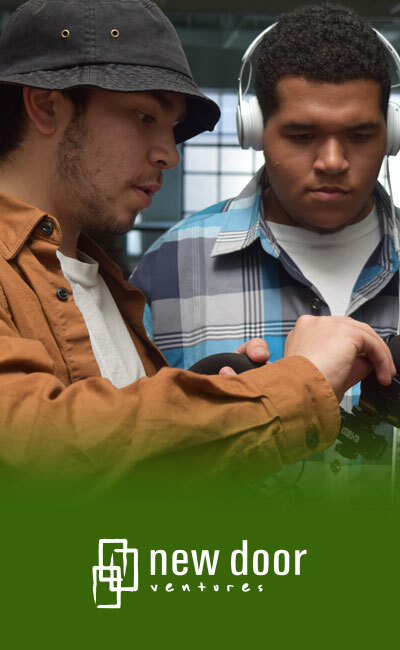 Seven Tepee Youth Program’s mission is to work with urban youth to foster the skills they need to make lifelong positive choices and create their own opportunities for success. SHELTER aims to prevent and end homelessness for low-income, homeless, and disadvantaged families and individuals by providing housing, services, support, and resources that lead to self-sufficiency. Pivotal is committed to improving educational and life outcomes for foster youth. SoCal CAN aims to cultivate a network of stakeholders who together will increase the number of low-income students accessing and completing post-secondary education. St. Mary’s Dining Room responds to poverty in San Joaquin County by feeding the hungry, caring for health issues, and restoring human dignity. Stockton Shelter for the Homeless compassionately addresses the needs of homeless individuals and families by providing safe shelter, basic necessities, and a structured opportunity to regain self-sufficiency. 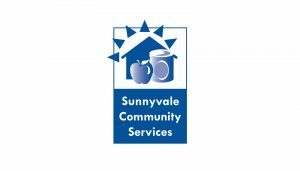 Sunnyvale Community Services works to prevent homelessness and hunger for low-income families and seniors facing temporary crises. The Food Bank for Central & Northeast Missouri is a regional disaster and hunger-relief network that acquires and distributes millions of pounds of food annually to partner agencies across a 32-county area. The NYC Urban Debate league is the largest debate league in the nation and believes that every school should have a debate team and every student should have access to the best debate education opportunities. The Wright Center is a community-based medical-education consortium and safety-net provider of primary-care services, working to improve education and patient care in a collaborative spirit to enhance outcomes, access, and affordability. Covenant House provides loving care and vital services to homeless, abandoned, abused, trafficked, and exploited young people. United Neighborhood Centers of Northeastern Pennsylvania aims to meet the needs of local low-income families, seniors, and youth, while also empowering them to attain self-sufficiency. 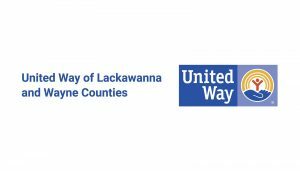 United Way of Lackawanna and Wayne Counties fights for the education, financial stability and health of every person in the community. The Women’s Resource Center provides comprehensive services for female and male victims of domestic violence, sexual assault, dating violence, and stalking in Lackawanna and Susquehanna Counties. United Way of Northwest Vermont unites the community to solve complex problems and harness the power of people to create a stronger Northwest Vermont. West Valley Community Services fights poverty by providing critical food, housing, and support services to the low-income and homeless individuals and families in Cupertino, Los Gatos, Monte Sereno, Saratoga, and West San Jose. 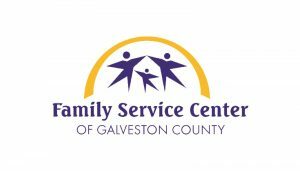 Women’s Center-Youth & Family Services provides free, confidential services and shelters specifically designed to meet the needs of homeless and runaway youth and victims of domestic violence. 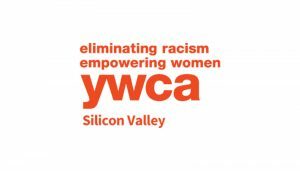 YWCA Silicon Valley & San Francisco/Marin is dedicated to eliminating racism, empowering women and promoting peace, justice, freedom, and dignity for all. 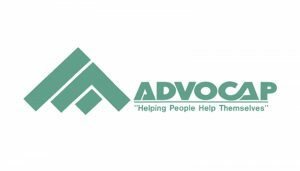 ADVOCAP, a nonprofit community action agency, works in local Wisconsin counties creating opportunities for low-income people and communities to combat poverty and increase self-sufficiency. AYC’s Educational Enrichment Services program provides low-income immigrant youth in the West San Gabriel Valley (CA) after-school and summer-school programs for academic enrichment, youth development, college and career preparation, recreation, and delinquency prevention. 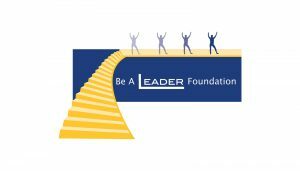 The Be A Leader Foundation aims to increase the number of college-going students in Arizona by empowering students through leadership training and mentoring to be focused, prepared, and college-bound. 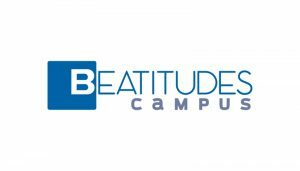 Beatitudes Campus is a retirement community that places extreme importance on resident engagement and empowerment and offers nearly 100 activities for its 450 independent-living residents. 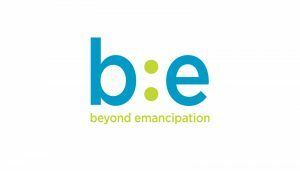 Beyond Emancipation (B:E) provides support and services to youth who have experience in the foster care or probation systems so that they can live more healthy, productive, and connected lives. 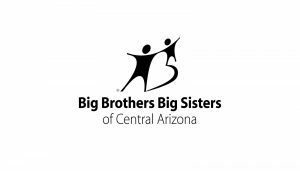 Big Brothers Big Sisters’ Big Futures program is designed to facilitate guidance between volunteers (Bigs) and youth (Littles) to help prepare them for adulthood, the workforce, financial security, and independence. Big Sky Youth Empowerment provides at-risk teenagers group mentoring, outdoor adventures, and other opportunities for the teens to experience success and gain the skills to make educated decisions towards an empowered and independent future. 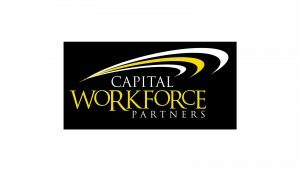 Capital Workforce Partners is a regional workforce development board in Connecticut that invests in youth development, develops sustainable career paths for adult workers, and provides services for job seekers and employers. 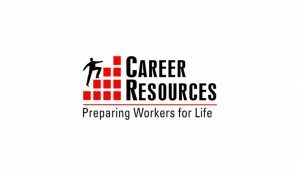 Career Resources provides youth and adults throughout Connecticut the skills, resources, and support necessary for personal development, economic self-sufficiency, and career advancement, and provides planning and staffing resources to the business community in support of workforce development and economic growth. 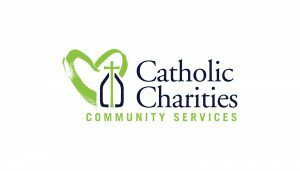 Catholic Charities Community Services of Arizona (CCCS) works to fulfill its mission of “helping the community’s most vulnerable with solutions that permanently improve lives,” by providing services and programs to children, families, and individuals throughout central and northern Arizona. 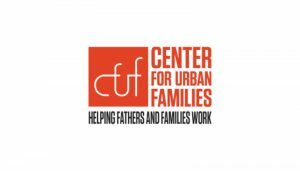 The Center for Urban Families (CFUF) addresses some of Baltimore’s most pressing issues — poverty, unemployment, father-absence, and family disintegration — by connecting parents to each other and their children, creating opportunities for economic and financial security through work, and providing access to key supportive services. 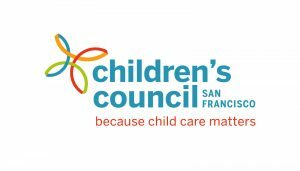 Children’s Council connects families to child care that meets their needs and works with parents, providers, and partners to make quality early care and education a reality for all children. 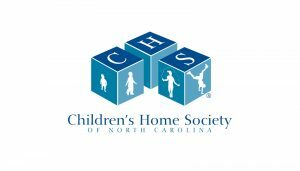 Children’s Home Society of North Carolina (CHSNC) provides a broad range of foster care and adoption services, foster care to permanency and post-permanency services, family training and education, family preservation, post-adoption support, youth education, teen-pregnancy prevention, clinical services, and professional training. Civic Works’ Baltimore Center for Green Careers (BCGC) is expanding access to family-sustaining STEM careers for Baltimore residents from historically marginalized communities by working with residents to build the skills needed to secure quality employment, and working with employers around investing in their workers and advancing equity across their practices. 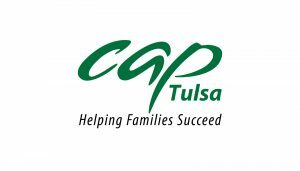 CAP Tulsa is a direct service anti-poverty organization focused exclusively on promoting the healthy development of young children in partnership with their parents and caregivers, as the strategy most likely to be effective at breaking the inter-generational cycle of poverty. 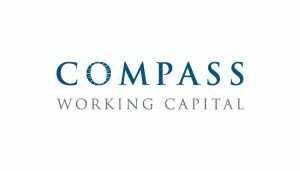 Compass Working Capital supports families with low incomes in building assets and financial capabilities as a pathway out of poverty and toward greater economic opportunity. 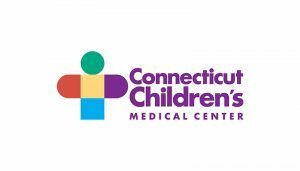 Connecticut Children’s Medical Center plays a leading role in efforts to enhance child health services and address system gaps to ensure the optimal healthy development of children in Hartford and beyond. 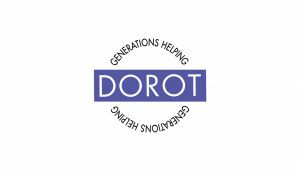 DOROT, a leader in the fields of aging and volunteerism, enhances the lives of older adults by bringing the generations together and alleviating social isolation and its devastating health consequences. 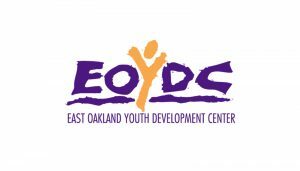 The East Oakland Youth Development Center’s (EOYDC) works in deep East Oakland, a community stricken by crime and violence, delivering comprehensive, evidence-based interventions that help young people transform their lives by building resilience, preparing for educational and career success, and igniting positive change. 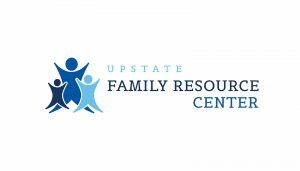 Family Services provides programs and services throughout the Hudson Valley region of New York, including youth services, family programs, victim services, community safety and prevention, and stewardship for the Family Partnership Center. 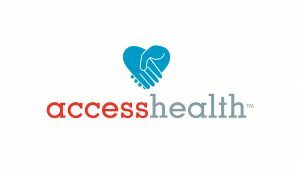 AccessHealth is a Federally Qualified Health Center providing full-time integrated medical, dental, and behavioral healthcare for a discounted, sliding-scale fee for the underserved, uninsured, and underinsured of Fort Bend and Waller County. 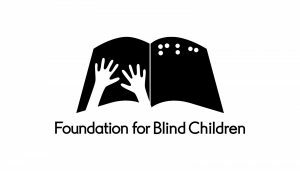 Foundation for Blind Children provides education, tools, and services to enable people of all ages with vision loss to achieve greater independence, and to provide education and emotional support for their parents and families. The Foundation for Senior Living (FSL) delivers an integrated system of care that allows adults of all means and abilities to age in place through a contiunuum of home and community-based health services. 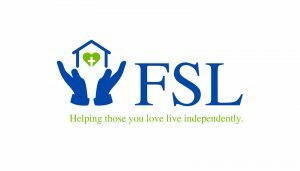 FSL is also committed to the development of energy-efficient, affordable housing. 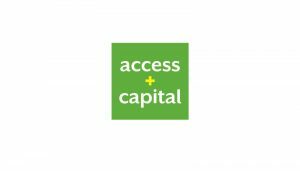 Access Plus is a mission lender, supporting businesses with affordable capital and business advisory services to help create jobs in low-income and underserved communities. 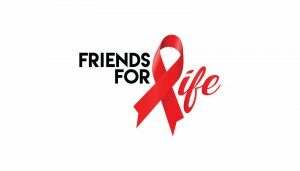 Friends For Life is the mid-south’s oldest and largest AIDS service organization. 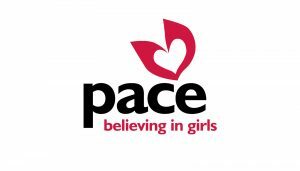 Its mission is to prevent the spread of HIV and help those affected by HIV/AIDS live well. 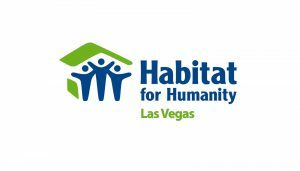 Habitat for Humanity Las Vegas addresses the community need for available, safe, decent, stable, affordable housing stock for low-income families within Southern Nevada. 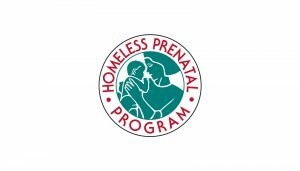 Homeless Prenatal Program (HPP) is a family resource center that empowers low-income and homeless families, particularly mothers motivated by pregnancy and parenthood, to find within themselves the strength and confidence they need to transform their lives and break the cycle of childhood poverty. 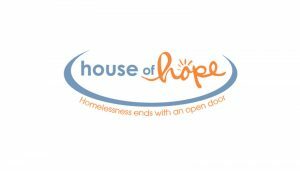 House of Hope provides shelter and supportive services for homeless young parents and their children, including programs in job readiness and healthy-living skills. 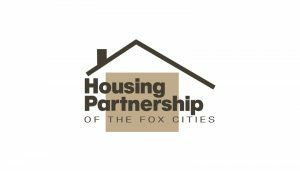 Housing Partnership of the Fox Cities provides affordable homes, intensive case management, and other supports to individuals and families desiring to transition from homelessness to stable housing. 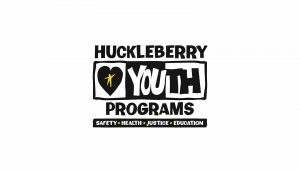 Huckleberry Youth Programs provides San Francisco and Marin youth and their families with a network of services and opportunities by caring peers and adults that promote safety in times of crisis, physical and emotional health and well-being, social justice in communities facing inequality, and educational success. 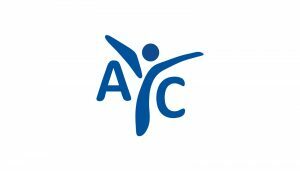 ICAN is a youth center that provides free, comprehensive youth, family, and community programs that empower youth to become productive, self-confident, and responsible members of the community. 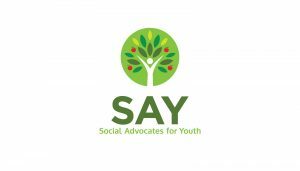 Social Advocates for Youth (SAY) is a recognized leader in serving homeless, disconnected, and at-risk youth in Sonoma County, based on the foundational program pillars of counseling, housing, and career services. 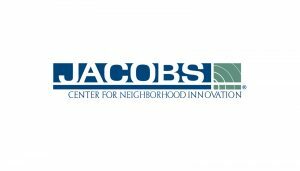 JCNI is a place-based nonprofit working with residents and other local community organizations to revitalize San Diego’s Diamond Neighborhoods and develop the area into a vibrant and economically sustainable destination. 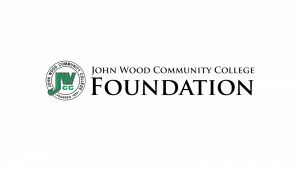 John Wood Community College Foundation’s mission is to promote the John Wood Community College, a two-year open-admissions college in Illinois, build goodwill and friendships, and seek financial support. 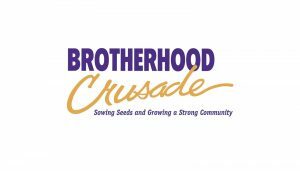 Brotherhood Crusade is a 50-year old grassroots organization with a vision of improving quality of life and meeting the unmet needs of low-income, underserved, and disenfranchised individuals in South Los Angeles. 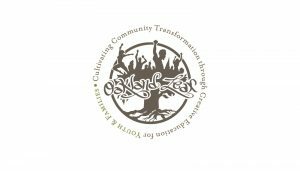 The organizaiton seeks to achieve favorable outcomes in high-risk youth through mental health, remedial education, socio-behavioral, healthy lifestyles, and parent/family engagement interventions. 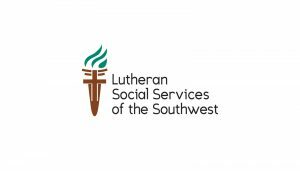 Lutheran Social Services of the Southwest (LSS-SW) stabilizes individuals and families in times of crisis, builds a foundation from which to thrive, and preserves dignity for those it serves. 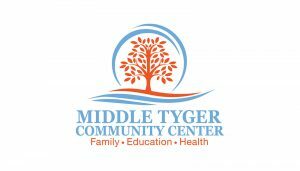 The organization offers services and resources for refugees, children and adults with developmental disabilities, children and families, seniors, and the economically disadvantaged and homeless who need food and shelter. 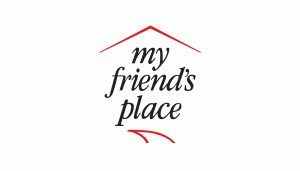 The mission of My Friend’s Place is to assist and inspire homeless youth to build self-sufficient lives. 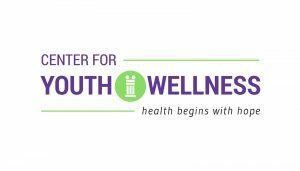 The organization serves Los Angeles youth (ages 12 to 25 and their children) who are experiencing homelessness through a comprehensive continuum of care that engages youth in a range of interventions that are free, flexible, and non-mandatory. 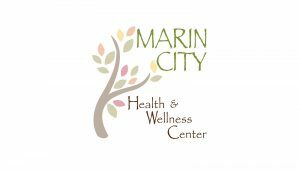 Marin City Health & Wellness Center (MCHWC), a Federally Qualified Health Center, provides accessible primary health care to low-income families, with the goals of achieving African American health equity and transforming the community through health and wellness services, especially for those struggling with poverty, chronic illness, lack of mobility, or isolation. 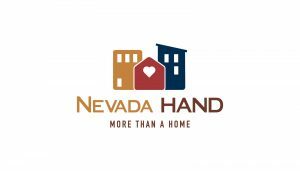 Nevada HAND (Housing and Neighborhood Development) provides affordable housing solutions with supportive resident services. The organization handles every aspect of development, including project financing, design, construction, and property management, and offers on-site services integrated into its properties, including case management and programs on building financial stability. 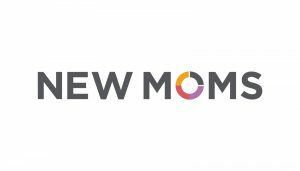 New Moms supports young mothers (aged 24 and under) and their children with stable housing, job training, and family support. All services are delivered through a unique two-generation model—acknowledging that the well-being of mothers and children are inextricably linked, and supporting both generations’ health, education, and well-being simultaneously. 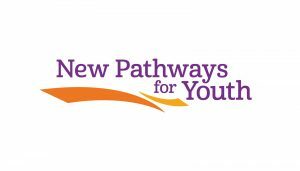 New Pathways for Youth (NPFY) is a mentoring program which believes that a relationship between a youth at risk and a caring adult can be a powerful intervention. The mentoring relationships at NPFY are one-on-one, formal, structured, and incorporate programming such as intensive retreats, life skills workshops, college and career workshops, formal mentor training, and ongoing case management and mentor support. 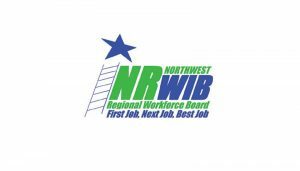 To develop and sustain an effective labor market system that facilitates economic development and business growth in the Northwest Connecticut region, the Northwest Regional Workforce Investment Board (NRWIB) provides a wide variety of services for the unemployed and underemployed, including resume workshops. 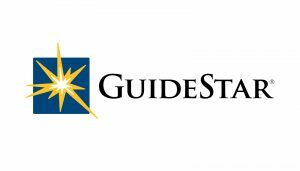 individualized career planning, and other job-training and readiness services. Oakland Leaf provides year-round programming to inspire and excite students with creative approaches to education, and empower youth with the resiliency and confidence to face life’s obstacles and opportunities. Bresee battles poverty by empowering youth and families with the resources, skills, and relationships necessary to thrive. Its clients are primarily Central American immigrants and first-generation Americans from working-class neighborhoods in Los Angeles. 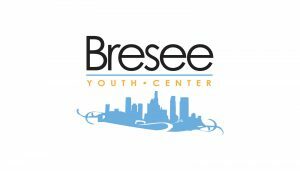 Breese provides family services, gang-prevention services, and youth services in academics, recreation, and workforce development. 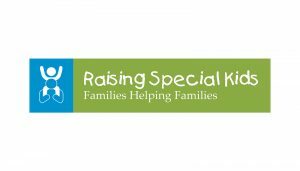 Raising Special Kids provides comprehensive support to parents and family members of children with disabilities and special health care needs by providing information, training, and consultation on a wide range of topics including health care, education, behavior support, and advocacy. 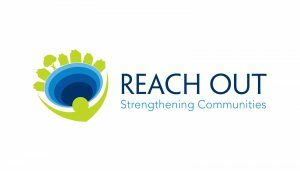 Reach Out provides direct services, such as mentoring, counseling, primary prevention, and parenting classes, to strengthen the health and well-being of residents throughout San Bernardino and Riverside Counties. Rubicon’s mission is to transform East Bay communities by equipping people to break the cycle of poverty. It provides a range of workforce development and supportive services tailored to the needs of a diverse population, including programs to improve financial literacy, build assets/credit, and access health insurance, primary/behavioral healthcare services, and substance-use treatment. 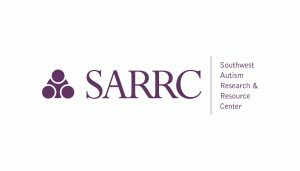 Southwest Autism Research & Resource Center (SARRC) advances research on autism, educates the public, and provides a lifetime of support for individuals with autism and their families. 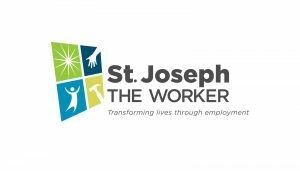 St. Joseph the Worker (SJW) focuses solely on empowering economically disadvantaged, unemployed, and working poor job seekers to transform their lives through quality employment. Its services are available at its Phoenix offices, at satellite locations hosted by 83 partner agencies across Maricopa County, and on its Mobile Success Unit, Arizona’s first mobile job development office. 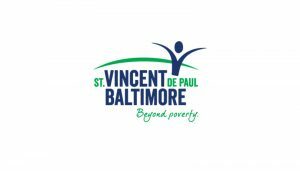 For more than 150 years St. Vincent de Paul of Baltimore (SVDP) has been a leading provider of community services to people suffering from the effects of hunger, homelessness, and poverty in Baltimore. It runs comprehensive programs in homelessness and supportive housing, child and family services, workforce development, access to healthy food, and emergency sssistance. 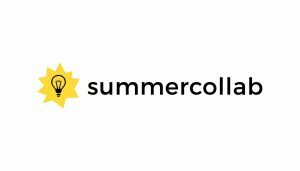 SummerCollab works hand-in-hand with community agencies to provide summer learning experiences for nearly 3,000 low income children across the state of Delaware each year. 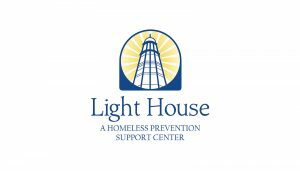 The Light House serves the community as a basic needs provider of food, shelter, and clothing, running emergency shelters, transitional housing residences, permanent supportive housing apartments, and an array of assistance and supportive services for clients. 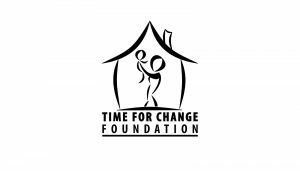 TheTime for Change Foundation provides housing and supportive services to help families and individuals recover from the effects of homelessness, addiction, incarceration, and mental and physical abuse. With programs focused on family development and financial stability, UFRC aims to provide educational opportunities, engaging activities, and support services that help families and the community thrive. Through an adult career-training program, teen arts and technology after-school program, and two social enterprise models, the West Michigan Center for Arts + Technology (WMCAT) aims to promote a culture of opportunity for people to make social and economic progress in their lives and community. 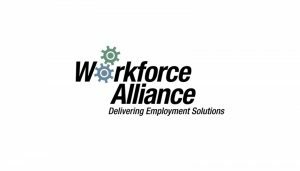 The goals of Workforce Alliance (WFA) are to 1) expanding the number of working families who achieve economic self-sufficiency, 2) equip youth with the tools and information necessary for success in the labor market, and 3) provide specialized programming and services to targeted “hard to serve” populations to increase their labor market success. 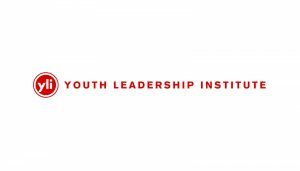 The Youth Leadership Institute builds community-based programs to facilitate and support youth-led advocacy and community organizing efforts that mobilize residents, elected officials, and school systems to organize campaigns for policy and systems change.